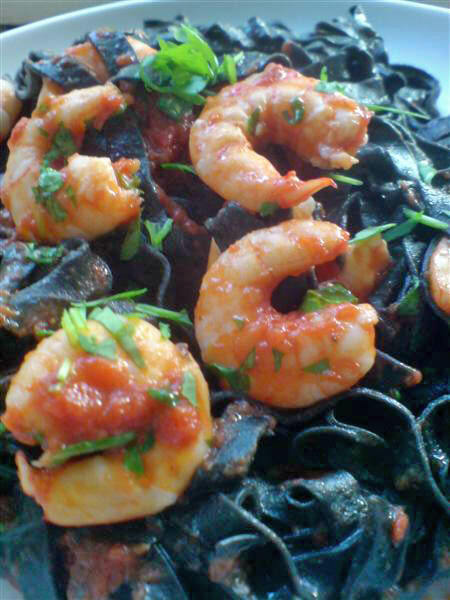 Tagliatelle nere con gamberi. From Campania. 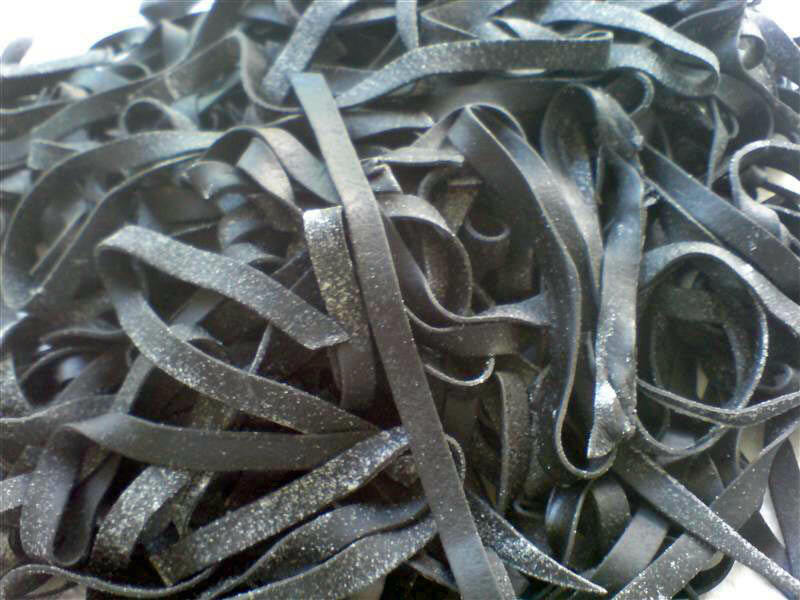 You can get black tagliatelle in larger supermarkets or good delis. I made my own. Just add a sachet of cuttlefish ink to the basic pasta recipe. Fry the garlic cloves in the oil until lightly browned. Remove the garlic and discard. Add the chopped tomatoes, season with salt and pepper and cook over a high heat for about 10 minutes. 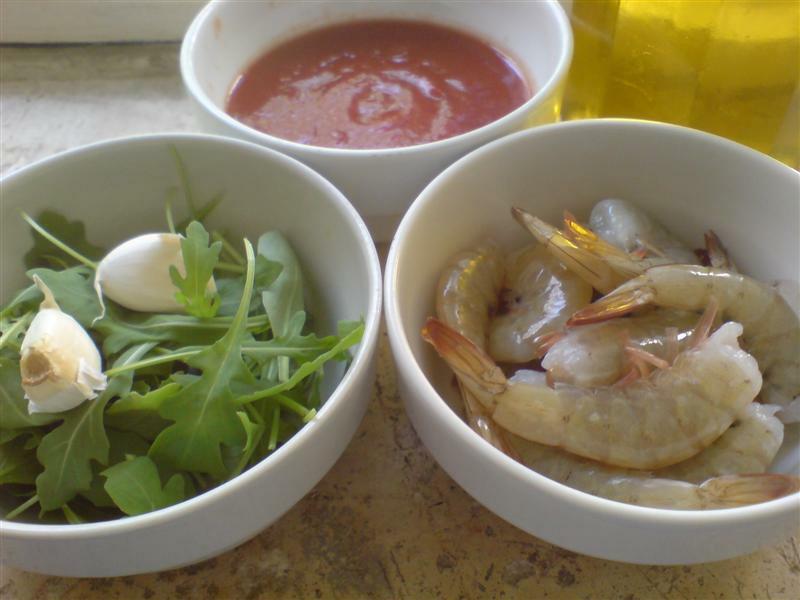 Add the prawns and cook until the prawns are done. Not too long as you don’t want them to shrivel. Stir in the rocket and serve with the cooked pasta.